Finding auto sales in the Richmond Hill area is easy when you come into our Pfaff Audi Vaughan dealership. Our dealership is committed to providing the highest levels of customer service through our unsurpassed knowledge of the Audi vehicles we sell and service. It doesn’t matter if you are looking for an SUV, sedan, coupe, or sportscar, Pfaff Audi Vaughan has got the auto sales that you are looking for, and we are confident that you will be able to find the car of your dreams with us. New and pre-owned auto sales in Richmond Hill can be found at our dealership, and our Audi representatives are experienced and knowledgeable about the vehicle that we sell. Customers can have confidence that they are being treated with the utmost respect and receiving world class customer service design their vehicle search. Read on for more information about auto sales in the Richmond Hill area at Pfaff Audi Vaughan. Customers can find our auto sales at Pfaff Audi Vaughan by going to our website at www.pfaffaudi.com. Once you reach our website, you have the freedom to browse around and find information about our dealership, services and parts, Pfaff Motorsports Division, Pfaff Autoworks Collisions Repair Facility, new and pre-owned vehicle inventories, and much more. Customers who are looking for new auto sales in Richmond Hill can find vehicles like this 2018 Audi A5 2.0T at our Pfaff Audi Vaughan dealership. We have a large selection of SUVs, coupes, sedans, and sports cars that our customers can take a look at. It is as easy as contacting an Audi representative and setting up a test drive at your earliest convenience. 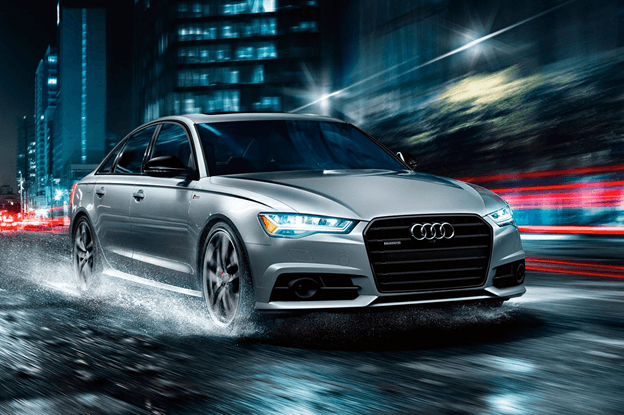 If you are looking for pre-owned auto sales in the Richmond Hill area, we recommend that you check out our inventory of pre-owned Audi vehicles. You can find vehicles like this 2015 Audi A3 2.0T, or vehicles just like this one. If you find a vehicle, new or pre-owned, on our website that interests you, and it sells before you get the time to come in for a test drive, NO WORRIES! Our representatives will do our best to find you the Audi vehicle that meets your needs, wants, and desires. For more information about auto sales in Richmond Hill at Pfaff Audi Vaughan, please feel free to continue browsing through our website. Click here to find our contact numbers or to fill out our contact form.